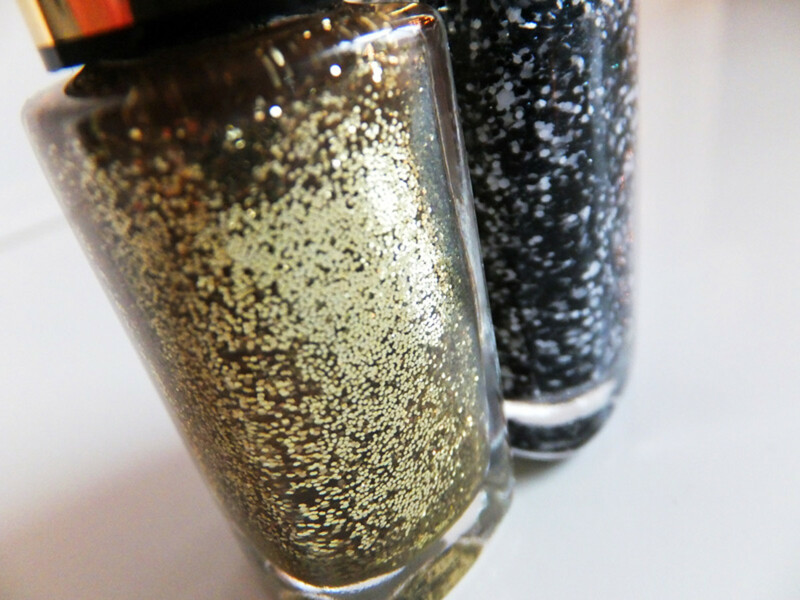 A fast swipe of a glitter top coat leads to a post packed with new glitter options and nail stickers, some you won't see (from L'Oreal Paris Color Riche and Maybelline New York Color Show) until Summer 2013. 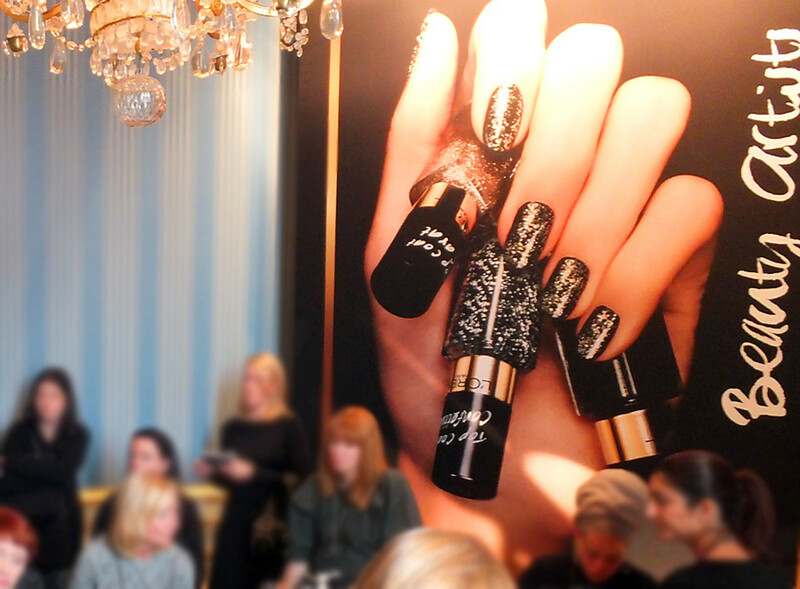 This post starts with a holiday mani, but it&apos;s really about some of the new and nifty polish topcoats I saw at preview events in Paris in December 2012; they&apos;re coming in mid-2013 from L&apos;Oréal Paris Color Riche and Maybelline New York Color Show. 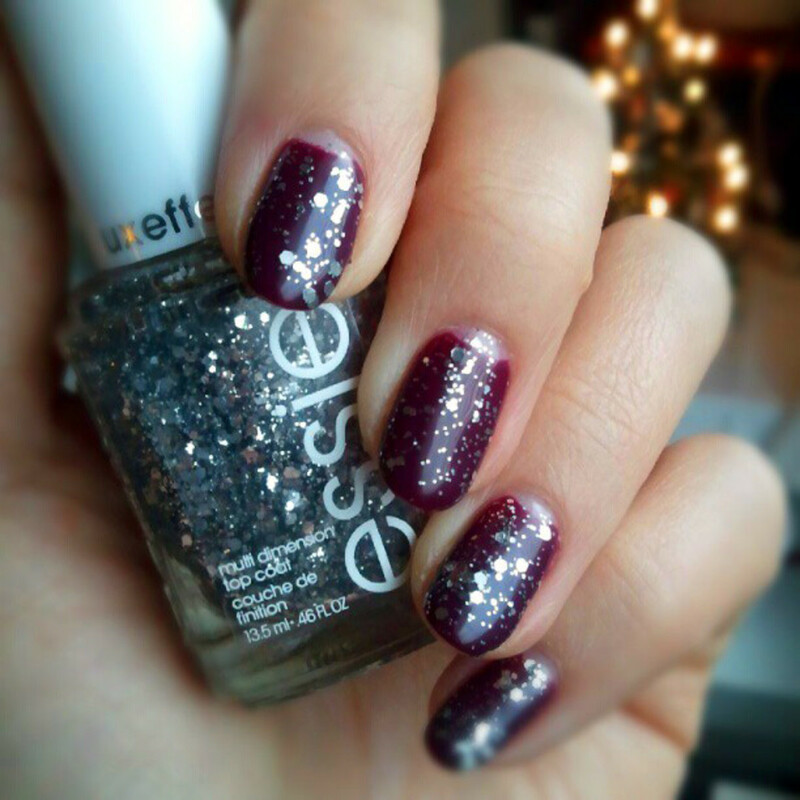 On a holiday-mood whim I slapped quick coat of Essie Luxeffects Top Coat in Set in Stones over my Artistic Colour Gloss soak-off empty-moon mani in Majestic. Took less than a minute. Next stop, Instagram -- you know, for five likes, five likes. A few minutes later, I put it on the Beautygeeks Facebook page. 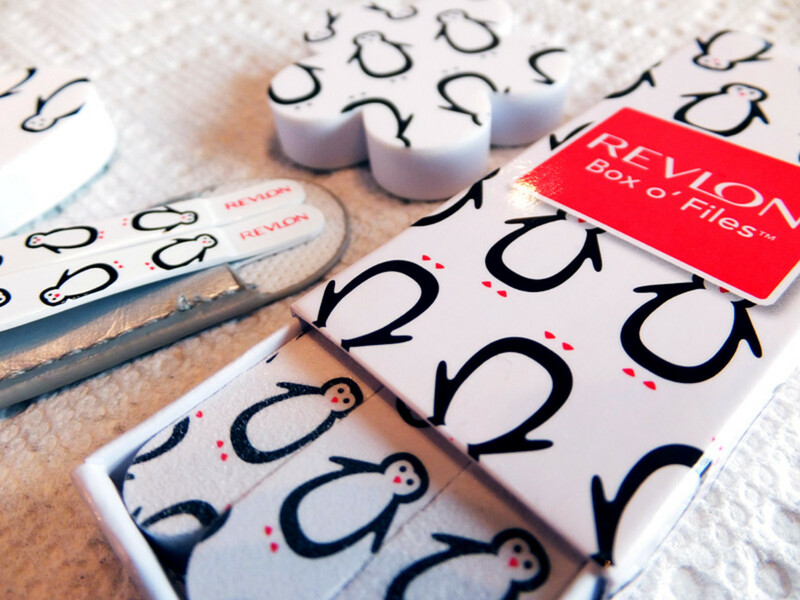 And now it&apos;s a post for you, with extra new-stuffs news. Is it wrong for me to admit that this is the first time in forever that I&apos;ve put on a coat of nail polish myself? 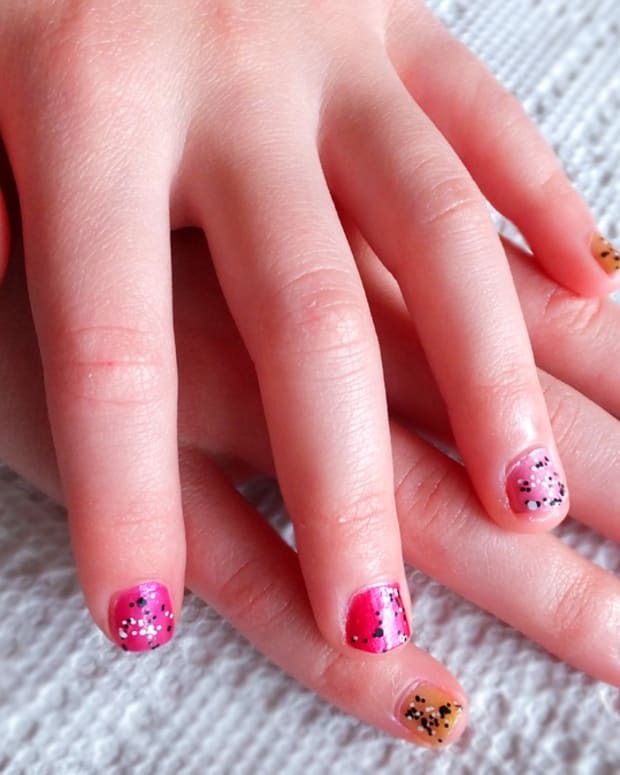 (Tips Nail Bar&apos;s Leeanne Colley is in charge of my soak-off manicures, including this one.) 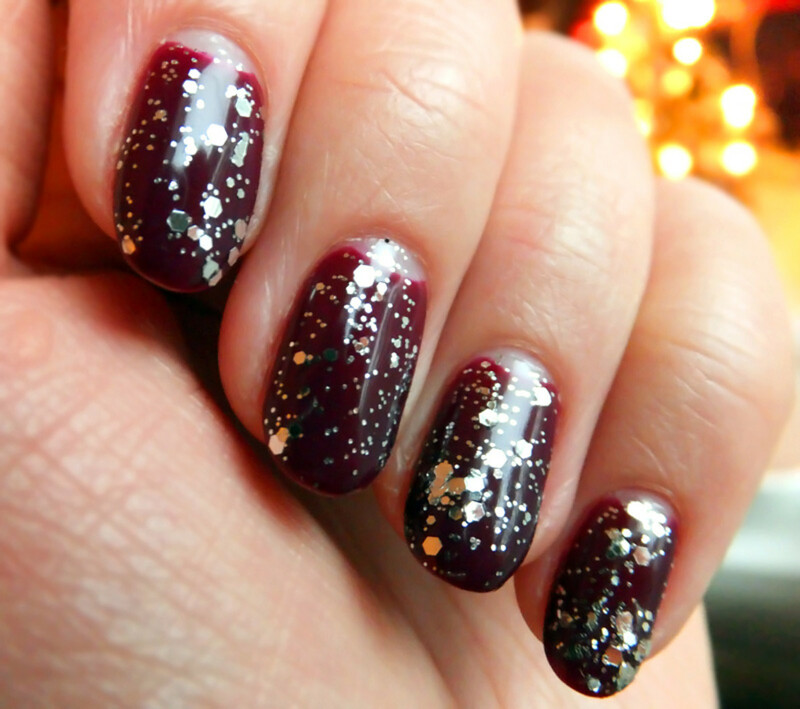 I&apos;ll do it again, too -- at least with a glitter top coat, because a mani change in one minute or less is just my speed. 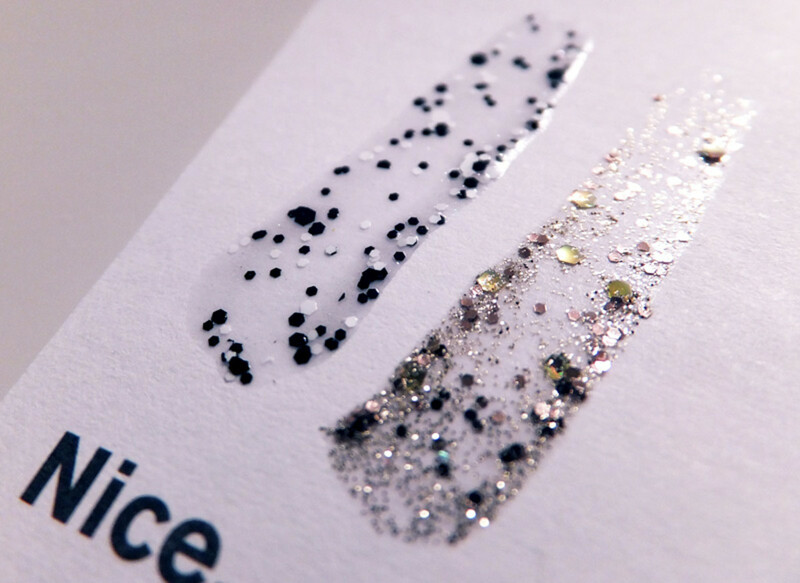 Plus, as Leeanne notes, a coat of glitter does wonders for camouflaging a worn or chipped polish job. 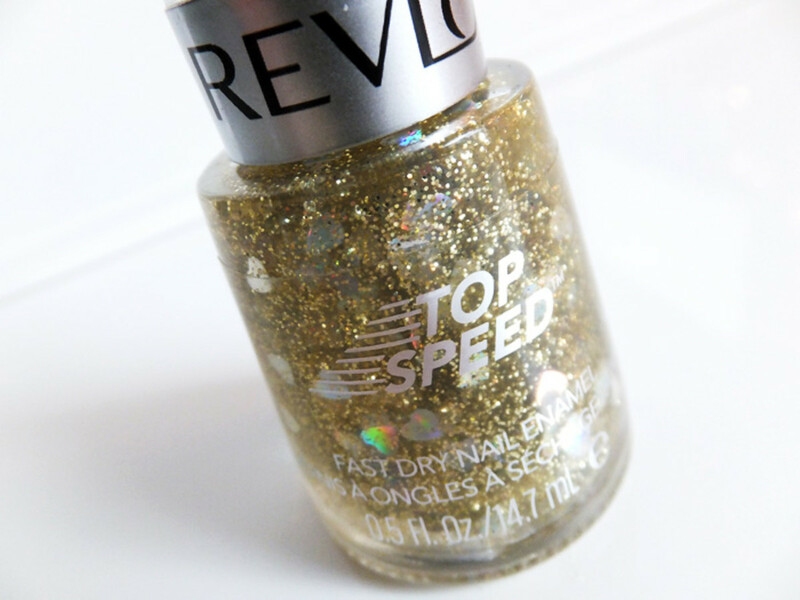 Revlon Top Speed Fast Dry Nail Enamel in Hearts of Gold FX ($5.99, drugstores) is another sparkly option. Fine glitter and iridescent heart shapes in a sheer base, Hearts of Gold FX has a much more subtle finish than Set in Stones. You may want more than one coat, and you&apos;ll also have to work a little to ensure at least one heart is on your brush before you paint. More of a hit for Valentine&apos;s Day, maybe? 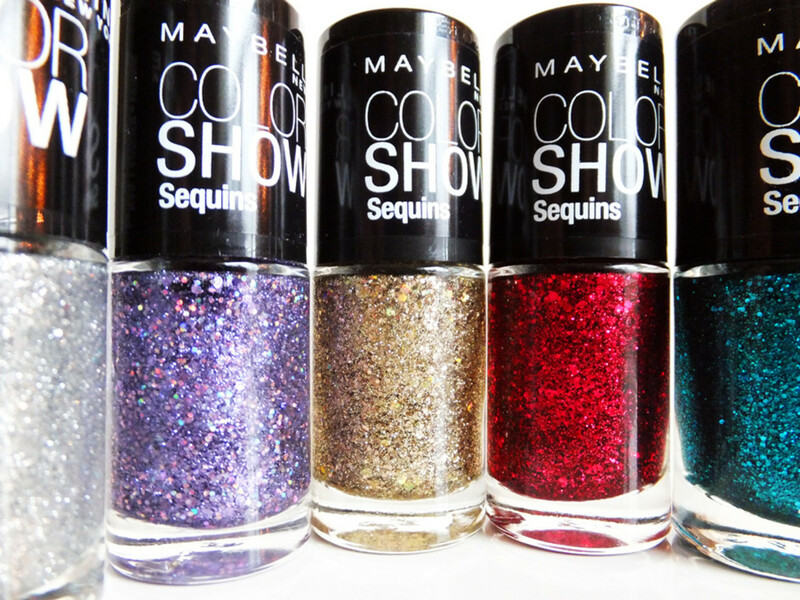 Have you seen these Maybelline New York Color Show Sequins yet? Or tried them? 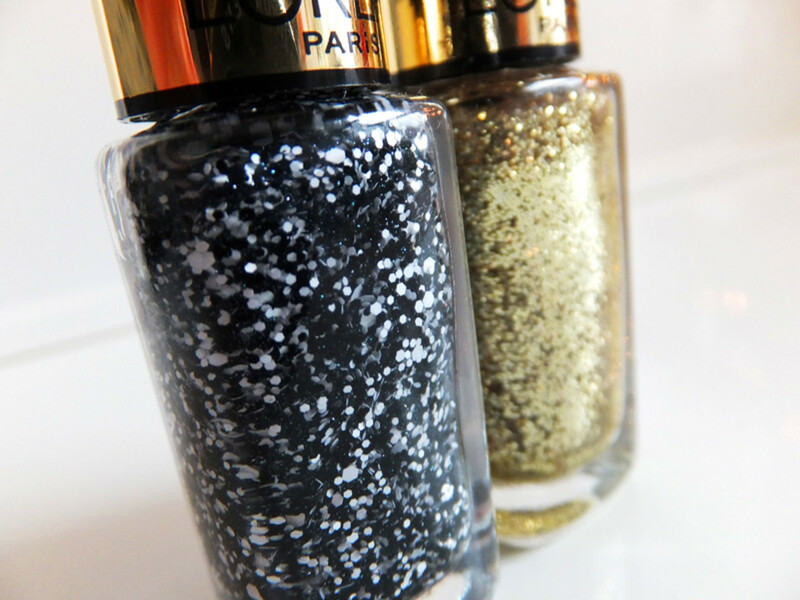 I&apos;ll be using them as top coats too -- they&apos;re sheer polishes with 3-D coloured glitter. From left: Silver Gleam, Lavender Sparks, Gold&apos;s Night Out, Ruby Rhinestones, and Sea-Quins ($3.99 each, drugstores and mass retailers). 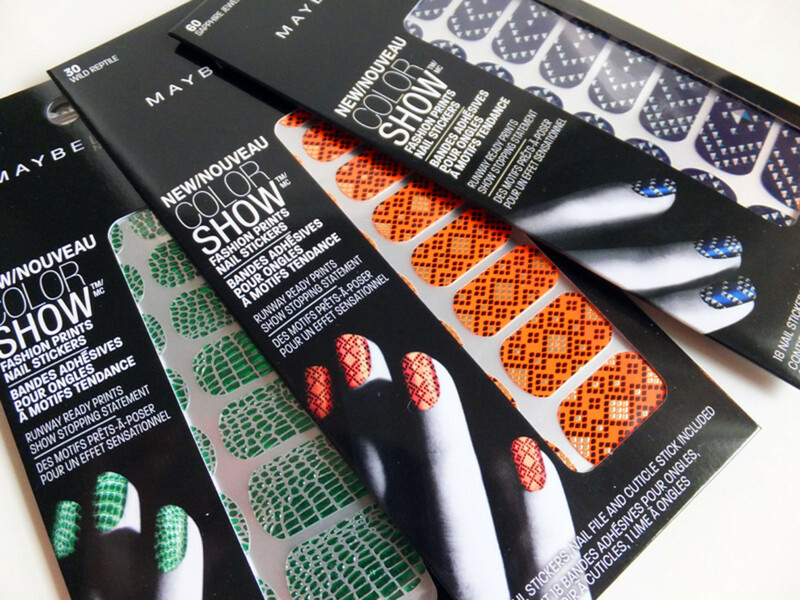 Here&apos;s a sneak peek at what else is coming from Maybelline New York Color Show in the next few months (click to see larger photo). 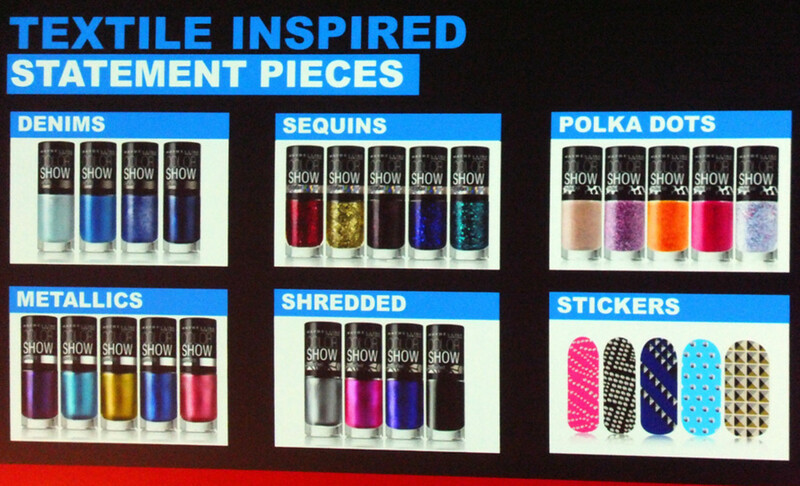 I&apos;m most curious about Polka Dots (hold that thought) and Shredded. Sorry the detail&apos;s not as sharp as I&apos;d like -- I snapped this shot of the presentation screen when we were in Paris at a global preview. 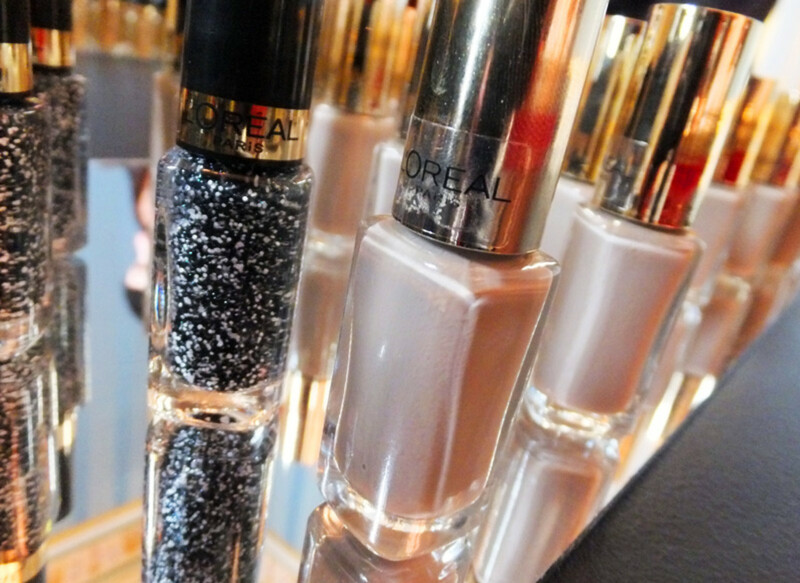 And coming in Summer 2013 (July) from L&apos;Oréal Paris Colour Riche... Top Coats! 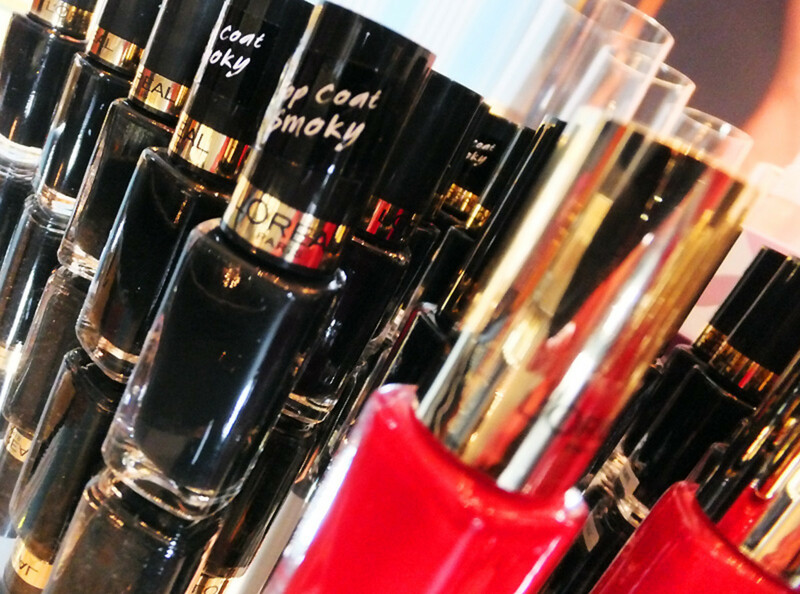 L&apos;Oréal Paris Color Riche Top Coat in Smoky, a sheer black, makes your nail polish look... smoky. I&apos;ll get back to you on the sheer red. 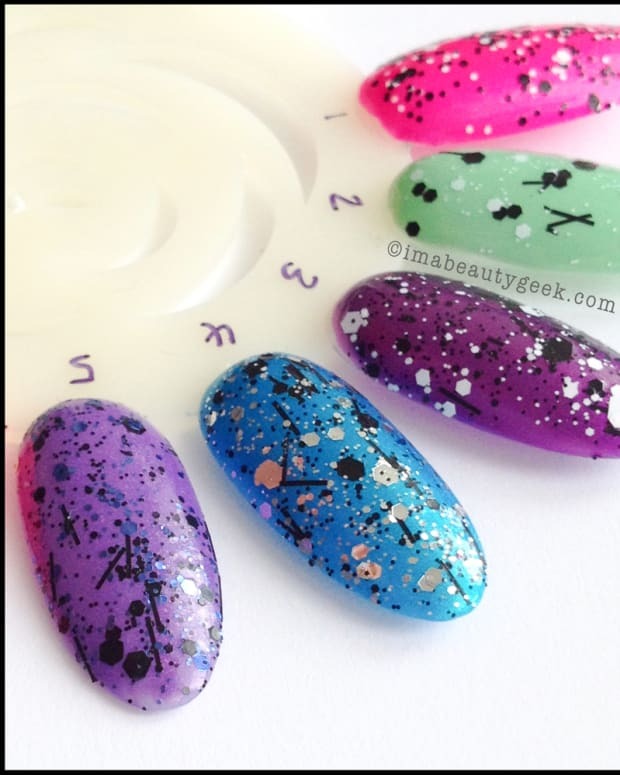 I&apos;ll get to Dots (left) in a minute; Milky (right), a sheer creamy pale beige, makes your polish look... yep, milky. 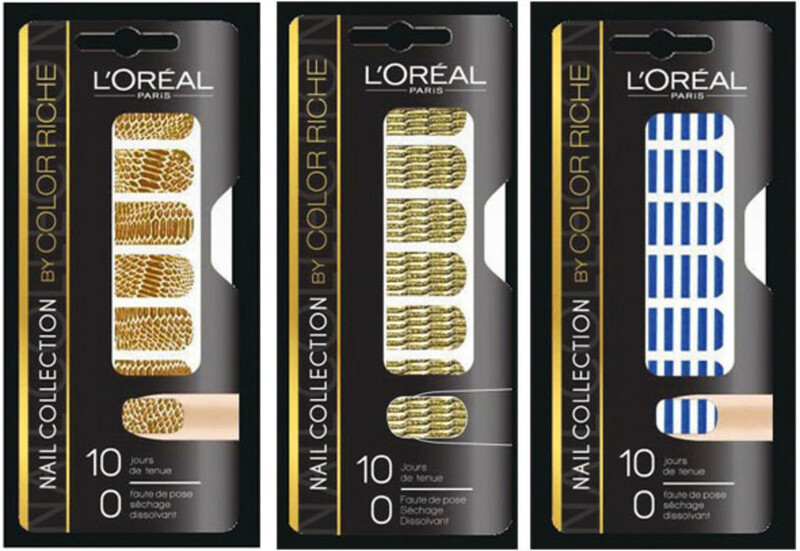 ...and for these -- L&apos;Oréal Paris Color Riche nail stickers. 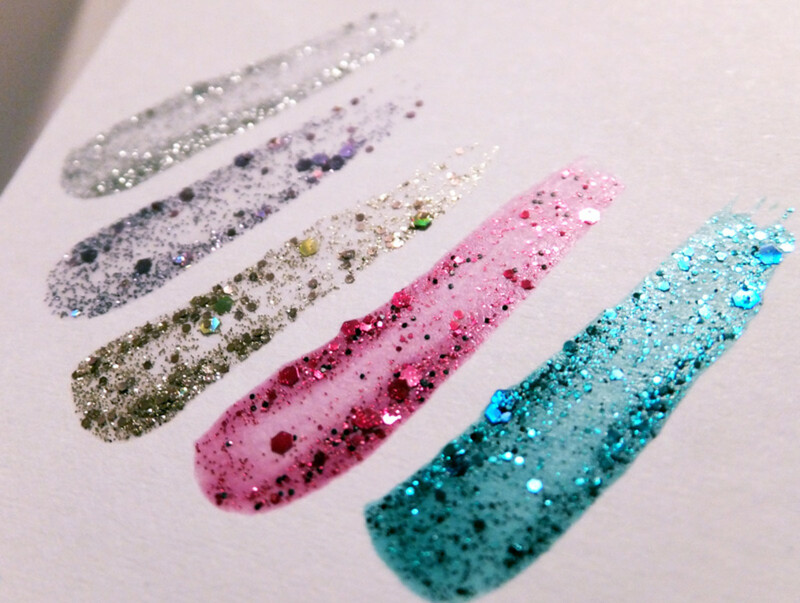 More glitterati info: Here, tips if you&apos;re having trouble getting the glitter out of the bottles you already have; a how-to for the foil method of removing glitter polish, which works for most people (swiping glitter with nail polish remover can be impossible). And here&apos;s why you need pure acetone instead of conditioning nail polish remover (ouch). What do you think of all this? 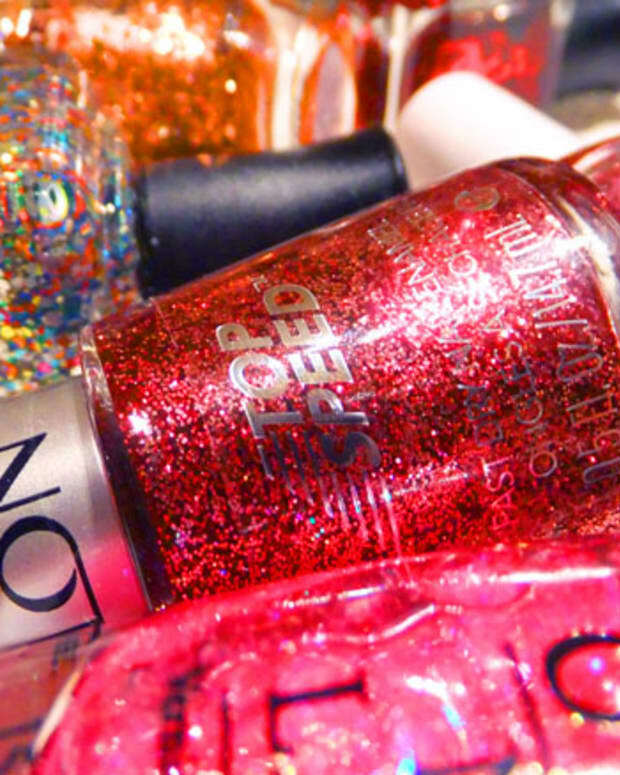 Are you a glitter fan? 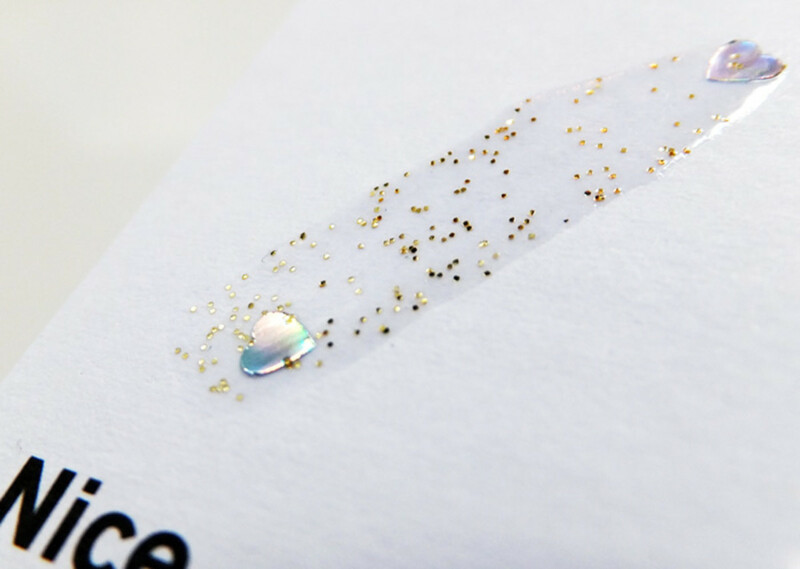 A nail-sticker fan? A penguin fan?